1. 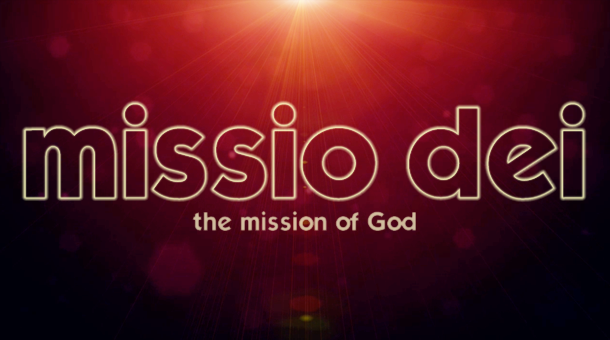 God’s mission: To uphold and display the glory of His name for the joy of His people. Ps 16:11You will make known to me the path of life; In Your presence is fullness of joy; In Your right hand there are pleasures forever. 2. God has chosen to glorify Himself by creating a people who delight in Him and receive the kingdom of God — and out of that delight respond in joyful and responsive obedience (duty) to participate in extending the kingdom of God by the power of the Holy Spirit. 3. The mission of God is woven throughout the tapestry of Scripture. The 2 primary agents of God’s mission are Jesus Christ and the Holy Spirit. The outworking of God’s mission is stated clearly in Matthew 28:19-20: In full dependence on the person and work of Jesus Christ we are commanded to “go” in both submission to and the power of the Holy Spirit – to proclaim the gospel to all nations. 1. God shapes and builds the church through the empowerment of the Holy Spirit. 2. God shapes and builds the church through the unfolding of the Gospel. 3. God shapes and builds the church through calling people to respond to the Gospel. 4. God shapes and builds the church through calling people into a Christ Confessing Covenant Community. Acts 1:5,8John baptized with water, but you will be baptized with the Holy Spirit not many days from now… you will receive power when the Holy Spirit has come upon you; and you shall be My witnesses both in Jerusalem, and in all Judea and Samaria, and even to the remotest part of the earth. 2:1When the day of Pentecost had come, they were all together in one place. 2And suddenly there came from heaven a noise like a violent rushing wind, and it filled the whole house where they were sitting. 3And there appeared to them tongues as of fire distributing themselves, and they rested on each one of them. 1) The Holy Spirit is to be respected, honored, and worshipped as God, the Third Person of the Trinity. 2) The Holy Spirit has come to glorify the Son who in turn came to glorify the Father. 3) The Holy Spirit empowers [dunamis], or baptizes (completely engulfed), believers for Christ-centered witness and service. 4) The Holy Spirit convicts the world of sin, righteousness, and judgment. 5) Through the proclamation of the gospel, the Holy Spirit persuades people to repent of their sins and confess Jesus as Lord. 6) The Holy Spirit unites believers to Jesus Christ in faith, bringing about the new birth and dwelling within regenerate people. 7) The Holy Spirit is the active agent in our sanctification and seeks to produce the “fruit of the Spirit” (Gal 5:22-23) in us as we are renewed and conformed to the image of Christ. 8) The Holy Spirit will lead the church into a right understanding and rich application of the truth of God’s Word – the Bible. 2:36Therefore [Peter’s summarizing] let all the house of Israel know for certain that God has made Him both Lord and Christ–this Jesus whom you crucified. 1) Jesus Christ is the gospel. The good news is revealed in the Christ Event (His birth, ministry, life, death, resurrection and ascension). Christ’s crucifixion is the heart of the gospel. His resurrection is the power of the gospel. His ascension is the glory of the gospel. 2) Christ’s death is a substitutionary [substitute] and propitiatory [satisfying] sacrifice to God for our sins. 3) The Christ Event demonstrates God’s mysterious love and reveals God’s amazing grace. Jesus Christ is the only mediator between God and humankind. There is no other name by which humanity must be saved. 4) Pastor and author, Tim Keller reminds us the Gospel is not advice, it is news. It is the ultimate Good News. Sunday morning is not primary the place to give advice… Gospel-driven change is rooted in remembrance. We are to remind one another primarily of what Christ Jesus has done, not what we must do. 3. God shapes and build the church through calling people to respond to the Gospel. 38Peter said to them, “Repent, and each of you bebaptized in the name of Jesus Christ for the forgiveness of your sins; and you will receive the gift of the Holy Spirit. 1) The proper response to the gospel is repentance and baptism. Repentance – Turning away from self-as-god-and-king and making God our kingdom – whereby we enter his kingdom. Biblical repentance is characterized by a changed life. Water baptism — A visual and symbolic demonstration of a person’s union with Christ in the likeness of His death and resurrection. It signifies that his former way of life has been put to death and vividly depicts a person’s release from the mastery of sin. 2) This response to the gospel is rooted and grounded in the free and unconditional calling of God for His own pleasure and glory. 3) Salvation, the free gift of God, is provided by grace alone, through faith alone, because of Christ alone, for the glory of God alone. 4) Anyone turning from sin in repentance and looking to Christ and His substitutionary death receives the gift of eternal life and is declared righteous by God as a free gift. 5) The righteousness of Christ is imputed to him. He is justified and fully accepted by God. Through Christ’s atonement for sin an individual is reconciled to God as Father and becomes His child. The believer is forgiven the debt of his sin and, via the miracle of regeneration, liberated from the law of sin and death into the freedom of God’s Spirit. 42They were continually devoting themselves to the apostles’ teaching and to fellowship, to the breaking of bread and to prayer. 43Everyone kept feeling a sense of awe; and many wonders and signs were taking place through the apostles. 45and they began selling their property and possessions and were sharing them with all, as anyone might have need. 47praising God and having favor with all the people And the Lord was adding to their number day by day those who were being saved. 1) God, through the Christ Event and the unleashing of the Holy Spirit creates the Church, calling sinners out of the world system (corrupt cosmos) into the fellowship of Christ’s Body. 2) Through the life and power of the Holy Spirit, God guides and preserves that new redeemed humanity. The Church is not a religious institution or denomination. Rather, the Church universal [or, Catholic] is made up of those who have become genuine followers of Jesus Christ and have personally appropriated the gospel. 3) The Church exists to worship and glorify God as Father, Son and Holy Spirit. It also exists to serve Him by faithfully doing His will in the earth. 4) The gospel makes us passionate for community. Why? Because God is a passionately relational being. God is the Triune God – Father, Son, Holy Spirit. 5) The early Christians were passionate about their life together. They didn’t fit community into the margins of their busy lives; they reorganized their lives around community. 6) At the heart of Christian community is the teaching of the Scriptures, a deep fellowship, remembering and celebrating the finished work of Christ through the breaking of bread, and passionate prayer. Fellowship (koinonia) — a holy alliance of love one for another. To break off a piece of yourself (the REAL you) and share it. The breaking of bread — The Lord’s Supper is to be observed only by those who have become genuine followers of Christ and symbolizes the breaking of Christ’s body and the shedding of His blood on our behalf, and we partake with an attitude of faith and self-examination. Prayer — Last week Acts 1:14… “continually devoting themselves to prayer” Our English translations certainly do not do justice to this volatile Greek word. We can define HOMTHUMADON as: To be together, to become unified with a passionate fierceness and indignation – it’s a crying out for God’s purpose and order to be established. 7) John Calvin said the chief responsibility of the Church is to make the invisible Kingdom visible – by who we are and what we do. 8) In the context of the local church, God’s people receive the opportunity to fully engage their God-given gifts and holy passions in His service for the purpose of serving one another AND to “seek the welfare of the city” (Jer 29:7). B. God shaped mission: The Father sent the Son, the Son sent the Holy Spirit sends you! 50th day. 50 days after the Resurrection the Holy Spirit descends out of heaven and baptizes the 120 with power from on high. Pentecost also commemorates God giving the Ten Commandments at Mount Sinai fifty days after the Exodus. Upon conversion our hearts are re-generated. To be set apart for God’s purpose. Justification is the work of God where the righteousness of Jesus is reckoned to the sinner so the sinner is declared by God as being righteous (Rom. 4:3; 5:1,9; Gal. 2:16; 3:11). Sanctification is God working in the believer to produce godly character and fruit in the life in the person who has already been justified (Phil. 2:13). The word propitiation carries the basic idea of appeasement, or satisfaction, specifically towards God. Propitiation is a two-part act that involves appeasing the wrath of an offended person and being reconciled to them.